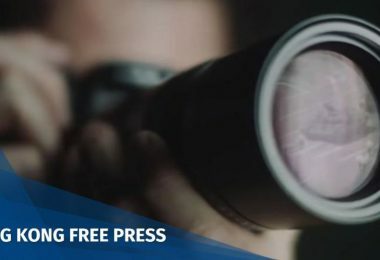 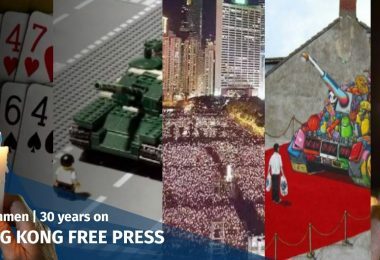 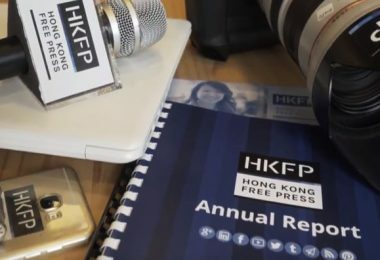 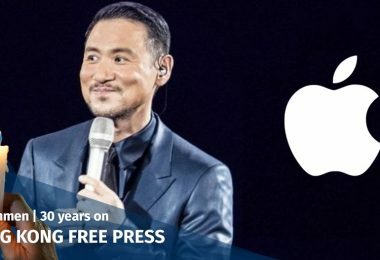 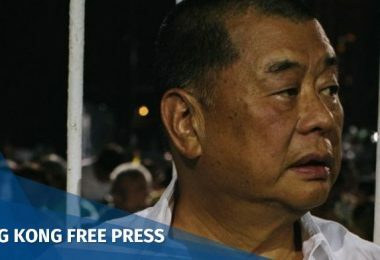 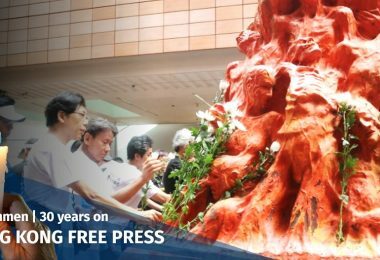 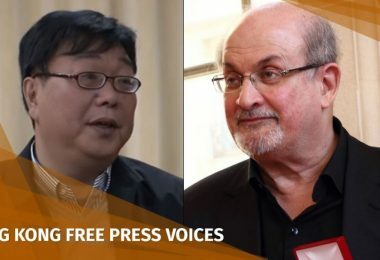 Hundreds of local and international journalists covered Hong Kong’s annual June 4 vigil commemorating the 1989 Tiananmen Massacre on Sunday night, though the event saw its lowest turnout in almost a decade. 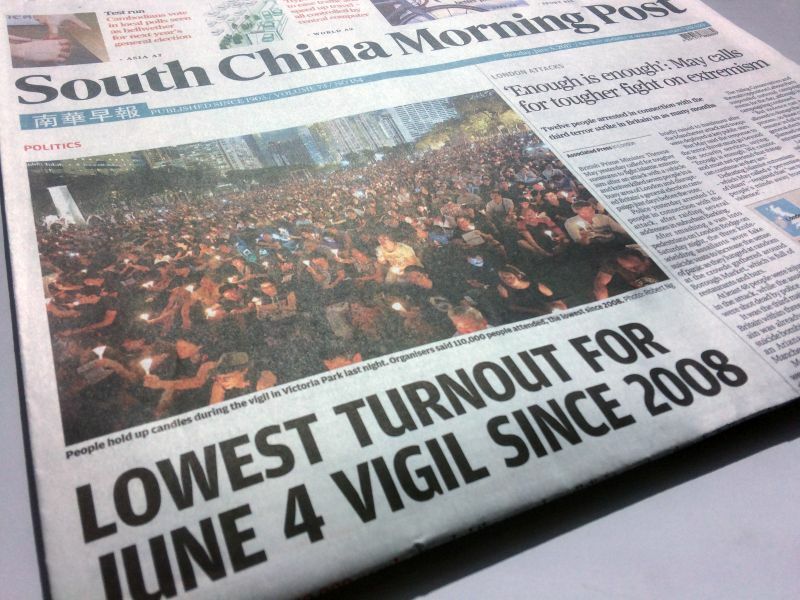 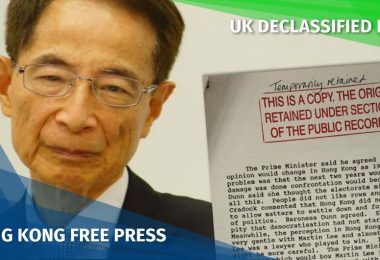 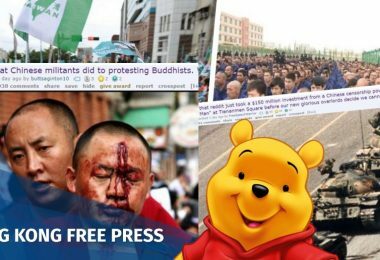 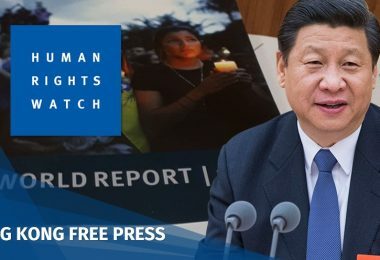 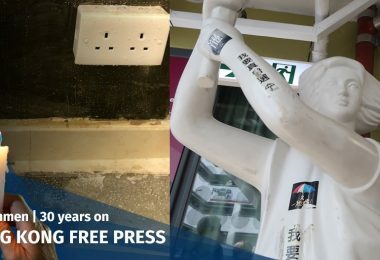 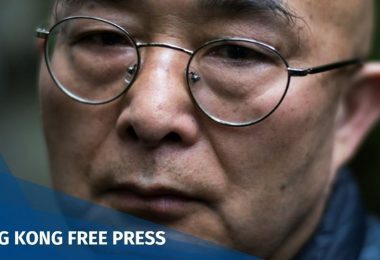 While the vigil dominated the headlines of Hong Kong’s democracy-leaning newspapers the following day, pro-Beijing media outlets either covered the event briefly, or made no mention of it at all. 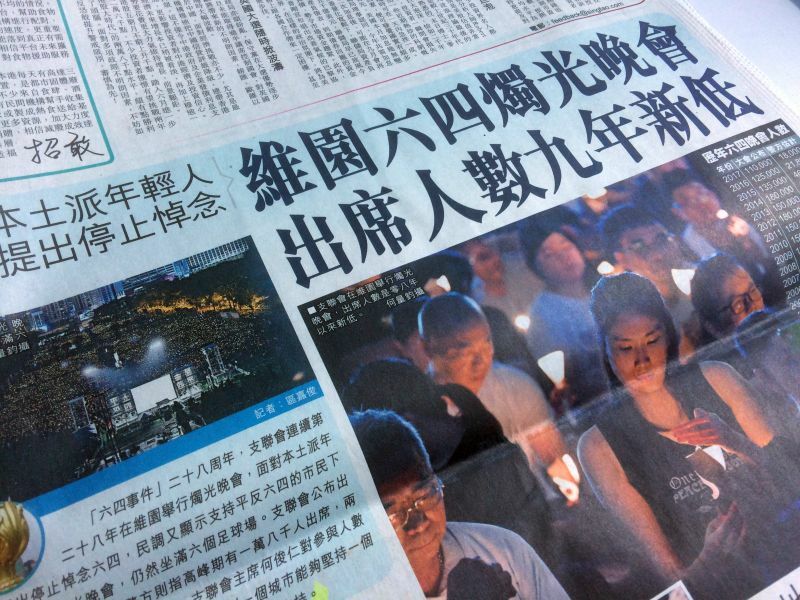 A sea of candles covered the front page of the pro-democracy Apple Daily, which produced extensive features on the vigil and the controversy surrounding whether to continue it. 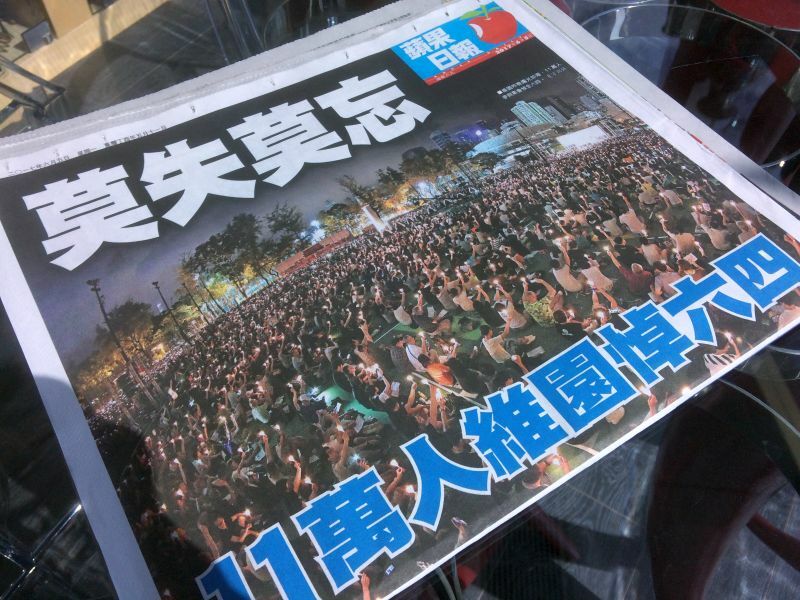 Likewise, Ming Pao covered the vigil on its front pages. 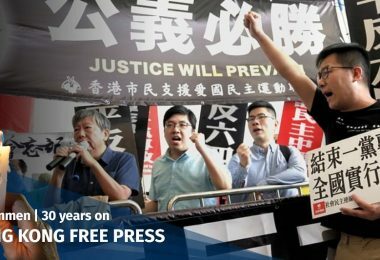 The newspaper interviewed young people born after 1989 asking why they – unlike some of their peers – decided to attend the Victoria Park event that student leaders have criticised as being too “ceremonial”. 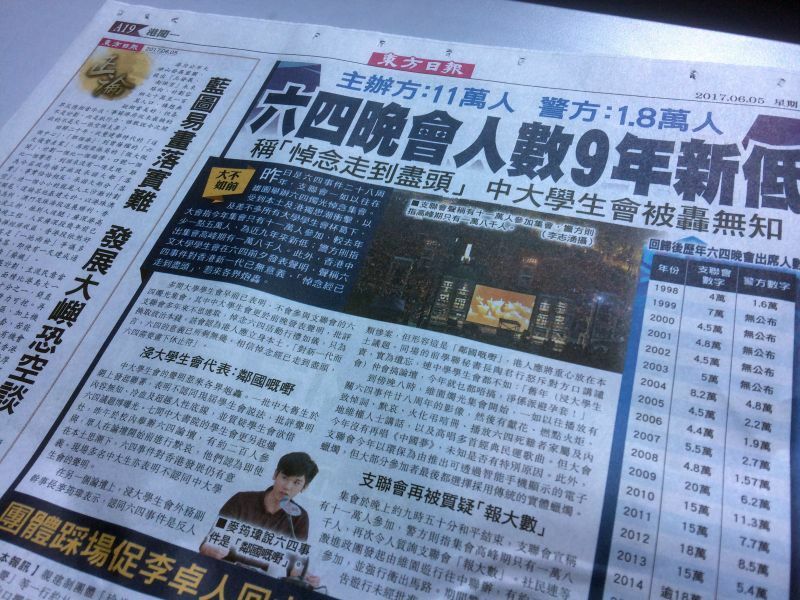 The pro-Beijing Sing Tao Daily covered the vigil on its sixth page. 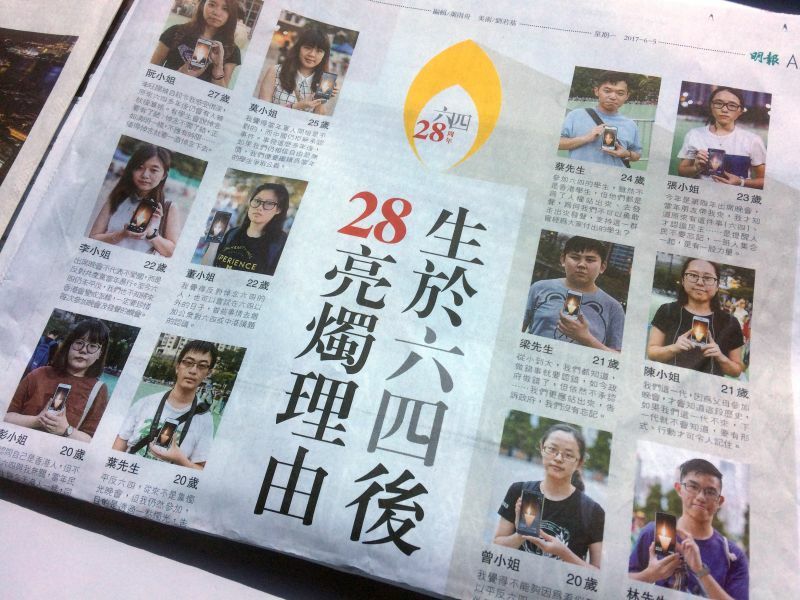 The pro-Beijing Oriental Daily briefly covered the vigil on its 19th page. 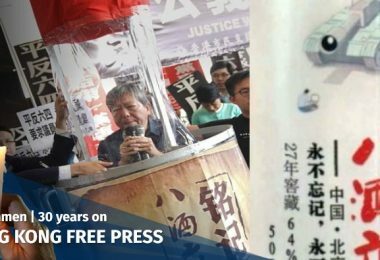 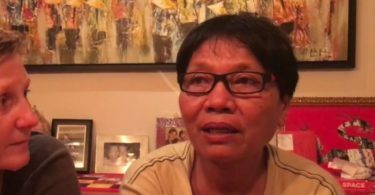 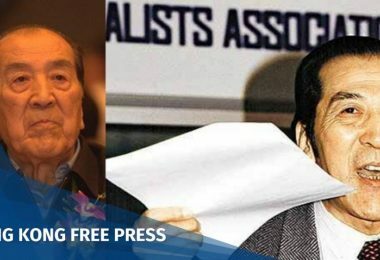 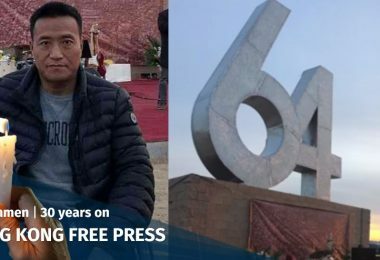 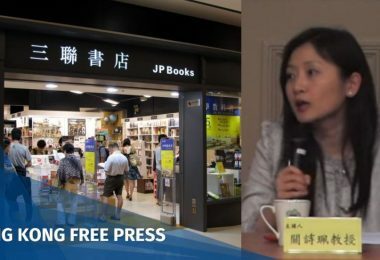 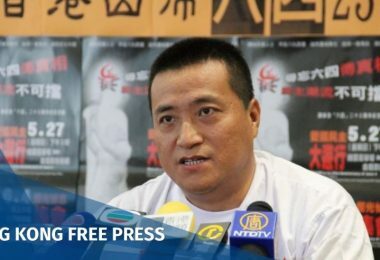 Hong Kong newspapers Wen Wei Po and Ta Kung Pao – commonly seen Communist Party mouthpieces – did not report on the vigil or the anniversary of the massacre at all. 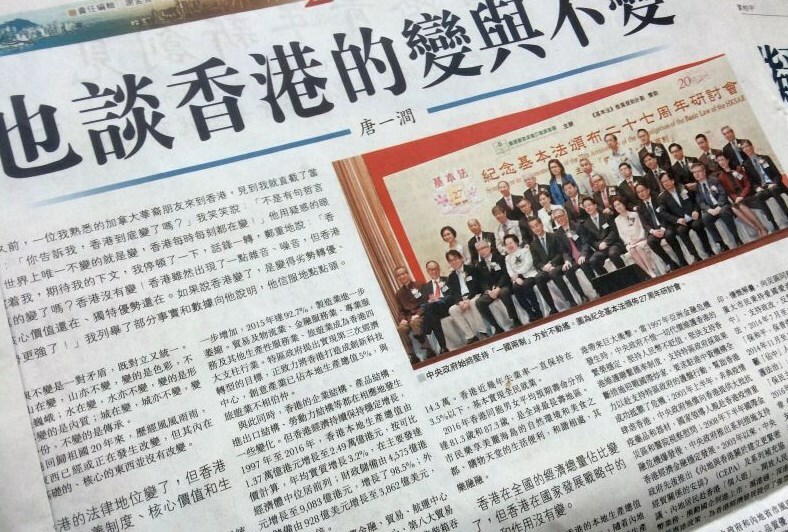 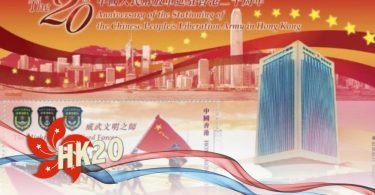 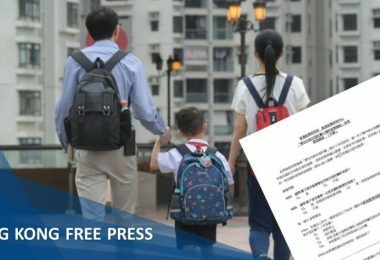 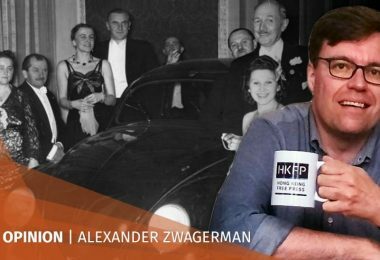 For Hong Kong news, they published identical anonymous op-eds praising Hong Kong’s shift away from the separation of powers towards an executive-led government over the 20 years since the transfer of sovereignty. 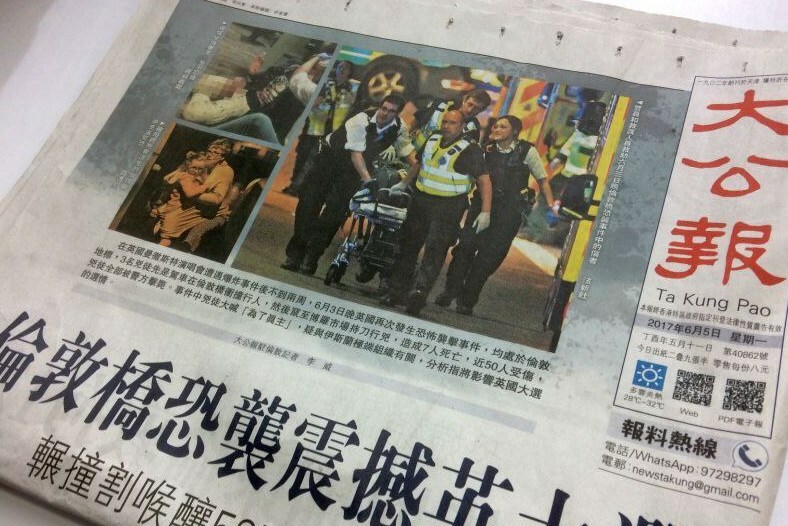 Both covered the London terrorist attacks on their front pages.